One of the most celebrated photographers of our time presents a selection of her work of the last fifteen years. The material documents the arc of Leibovitz's relationship with her companion, Susan Sontag, who died in 2004; the birth of her three daughters; and many events involving her large and robust family, including the death of her father. The book is permeated with strong emotions. Leibovitz's passion for her family and friends is part of a larger passion that extends to the subjects of her professional work, and the two worlds meet thematically. Portraits of public figures include the pregnant Demi Moore, Nelson Mandela in Soweto, Jack Nicholson on "Mulholland Drive", Bill Clinton in the Oval Office, William Burroughs in Kansas, and Agnes Martin in Taos. 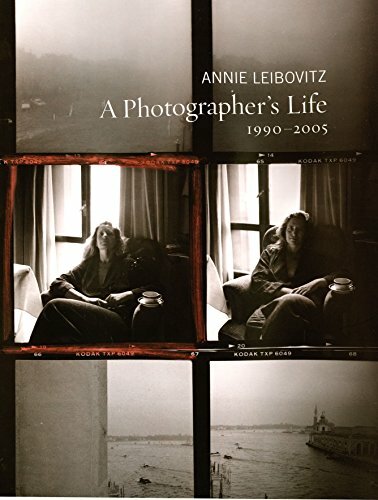 Over 300 photographs are accompanied by an essay by Leibovitz that discusses the circumstances under which the work was made, both technically and logistically, and her relationships with and thoughts about many of the subjects. Annie Leibovitz is the recipient of many honours, and is renowned for her work in Vanity Fair, Vogue and Rolling Stone. Leibovitz was designated a Living Legend by the Library of Congress in 2000 and an Officier in the French Ordre des Arts et des Lettres in 2002. Smithsonian Magazine named her one of the thirty-five Innovators of Our Time in November 2005. She lives in New York City.